delicious, and unhealthy. And we're proud of that. 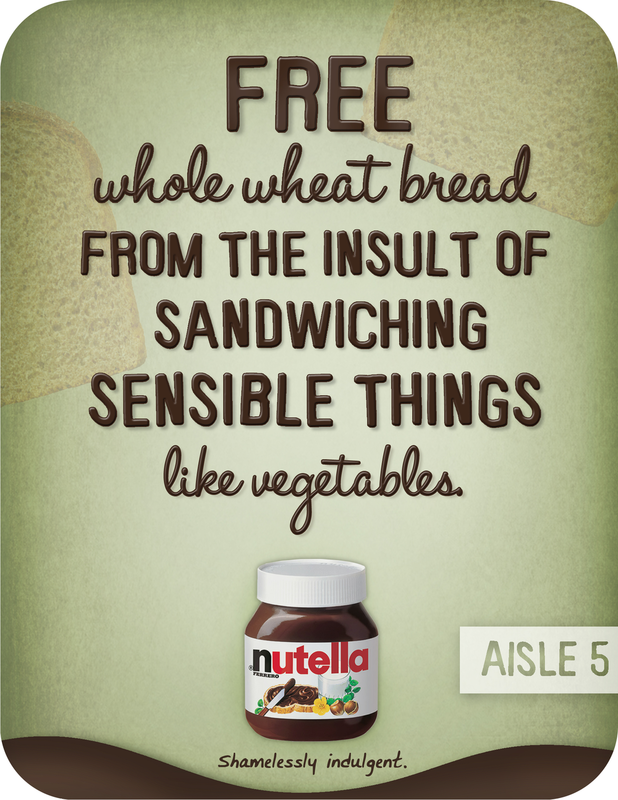 We will place signs around grocery stores to lead people to the Nutella aisle. to help you transport all of your Nutella. Everyone loves Nutella. Many Americans just haven't tried it yet. So the Nutella-mobile will travel around and give people their first taste.